1. With your iii SOAP Tutorial project open in Studio. 2. Select the Solutions folder and right click on it to open the context menu. 3. Select New Solution from the context menu to open the New Solution dialog box. 4. 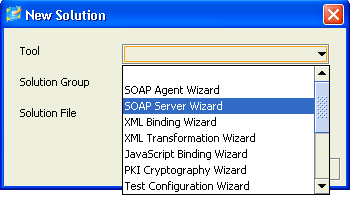 In the New Solution dialog box, select the SOAP Server Wizard Tool from the drop-down list. 5. 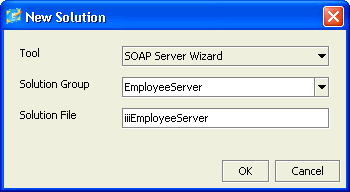 Enter the name of the Group to contain this Solution, in this case EmployeeServer. If you had more than one group already, you could select an existing Solution Group from the drop-down list. 6. 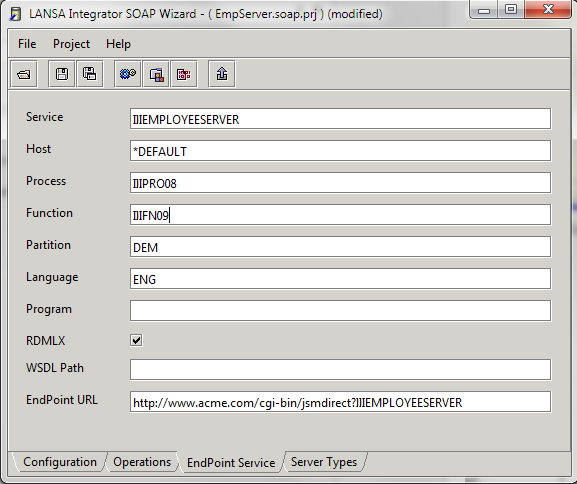 In File, enter a name for the Solution, in this case iiiEmployeeServer. This name will be used for the project (prj) file. It will also be used by the SOAP Wizard as a prefix for some of the objects that it generates for the solution. 8. Select Yes, to confirm that the new solution group is to be created. 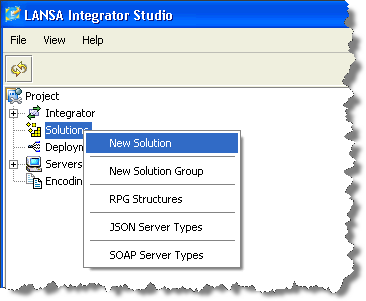 LANSA Integrator opens the SOAP Wizard. LANSA Integrator provides default values but you must change some of them to be specific to this project and the server that will service it. 9. 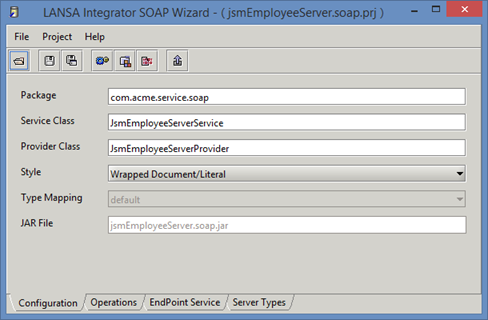 Change the Package to com.iiicompany.service.soap This is the name that the SOAP Wizard will use when generating the Java implementation files for your solution so make it something unique to your solution. 10. Select the EndPoint Service tab. You will fill in this tab as shown below in the next steps. Leave blank. Required if an RPG program is used for the business function. This identifies the server to which users of this web service need to send their web service requests and it will be written into the WSDL file that describes this service. In this case your client and server will both be running locally. 10. Save your changes. Do not close the SOAP Wizard.